The Rotary Club of Stamford Burghley were delighted to present cheques to the value of £10,500 to their 3 endorsed Stamford Santa Fun Run Charities at a meeting kindly hosted by the George Hotel on Monday 28 January 2019. 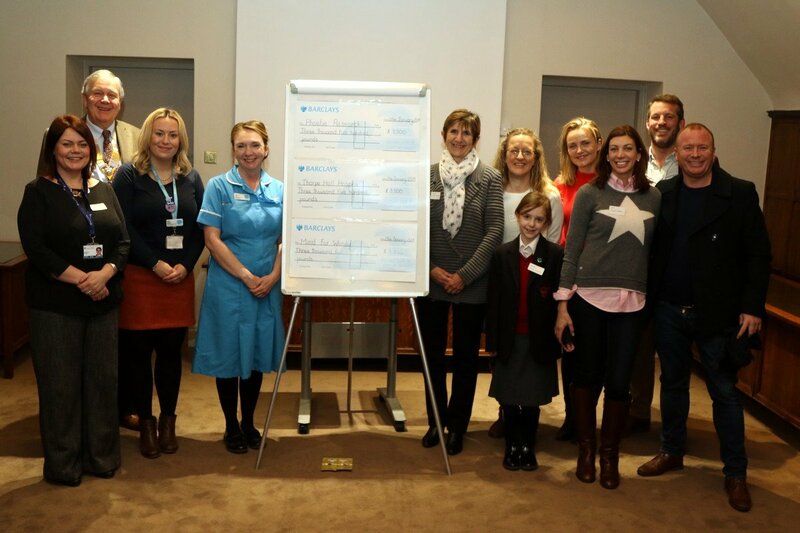 Each Charity, Sue Ryder Thorpe Hall Hospice, Mind for Wendy and Phoebe Research, received the sum of £3500. In addition, a further £3,500 is available for the Rotary Club to distribute to local and national charities and good causes throughout 2019. Present were Joely Garner representing Sue Ryder Thorpe Hall Hospice. Zoe Crowson, Steven Arnold and Phoebe representing Phoebe Research. President John Sutcliffe and other members of the Rotary Club of Stamford Burghley were present supporting the Charities. 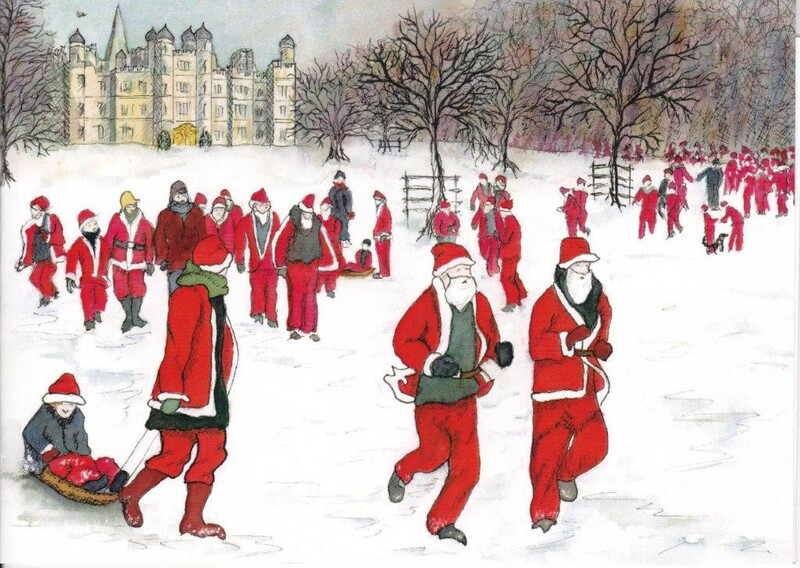 Mind for Wendy facilitated a donation to Mind Space Stamford; Helen Howe Chair of Trustees said “I would like to thank the Rotary Club of Burghley for the very generous contribution from the surplus of the Santa Fun Run”. In summary, what a fantastic achievement and thank you to all the runners for making this possible. The 2019 Stamford Santa Fun Run will take place in December 2019. The date has yet to be confirmed (most likely to be Sunday 8 December) but will be posted here as soon as possible. Online entries will open on Sunday 1 September 2019. Once again we intend to have an "Early Bird" discount scheme whereby adult fees will be reduced up to and including 31 October 2019. Please note the Rotary Club of Stamford Burghley take data protection extremely seriously. The information you give on registration and thereafter will only be used to enable the complete on line entry process to take place and will never be passed to a 3rd party. The Rotary Club will only contact you otherwise to provide information on current and future Santa Fun Runs.